Identify the basic pathophysiologic mechanisms involved in chronic wounds to be able to determine and utilize appropriate interventions to affect final healing. Demonstrate the basic principles of managing ischemic skin and nail disease. Recall the underlying etiopathogenesis of foot ulcers and how this relates to appropriate management. Recognize the presenting characteristics of infections of the skin, nail, soft tissue and bone and demonstrate their appropriate management. Understand current classification systems for foot ulcers and infections. Recognize the ischemic and neuroischemic foot through clinical and diagnostic modalities and understand various treatment options for management. Demonstrate knowledge of the evidence supporting multiple advanced wound technologies that can be used to expedite chronic wound healing. Identify the role for surgical interventions in the management of high risk lower extremity disorders. 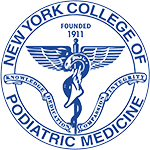 The New York College of Podiatric Medicine has estimated this activity for a maximum of 20 continuing education contact hours. AffinityCE designates this live educational activity for AMA PRA Category 1 CreditsTM. Physicians should only claim credit commensurate with the extent of their participation in the activity. A maximum of 20 AMA PRA Category 1 CreditsTM will be awarded. AffinityCE is accredited as a provider of continuing nursing education by the American Nurses Credentialing Center’s Commission on Accreditation. AffinityCE is awarding a maximum of 20 contact hours for this activity. The Desert Foot Conference received unrestricted educational grants from the following companies: Advanced Pathology Solutions, Advanced Oxygen Therapy, Inc, Bio-Tissue, Inc, EO2 Concepts, Go 4-D, MiMedx, NormaTec, Ortho-Dermatologics, Podimetrics, Premier Shockwave, Stryker, Tactile Medical.